Thank you for visiting Gatchell’s Woodworks webpage, where we meet all of the greater Las Vegas area’s custom woodworking needs. We specialize in home, and commercial remodeling, custom furniture design, custom cabinetry, and repairs of all kinds. Our combined experience of over 30+ years you can rest assured that your custom design will be world class, and absolutely gorgeous. 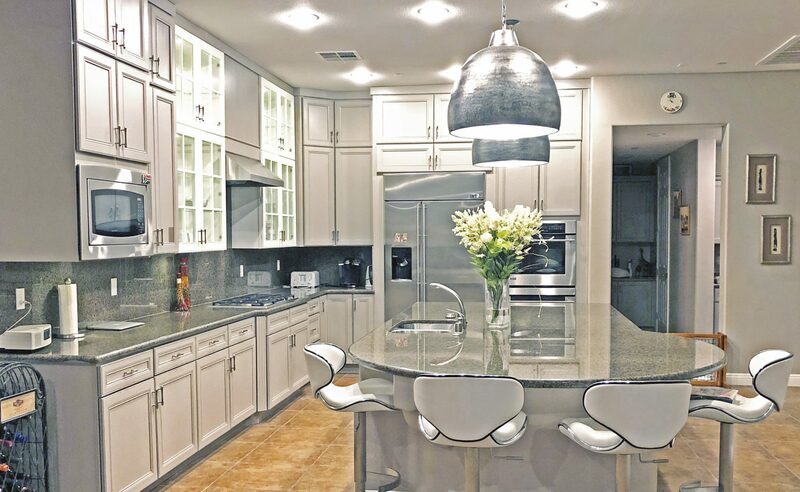 If you need a complete kitchen remodel, or just some new cabinets doors made, or even something as simple as a custom bookshelf, don’t hesitate give us a call. Be sure to visit the gallery to see many of the past projects that we have finished. For any questions, or to receive a free quotation, please contact us at (702) 496-2745. “A master craftsman” – Greg A.